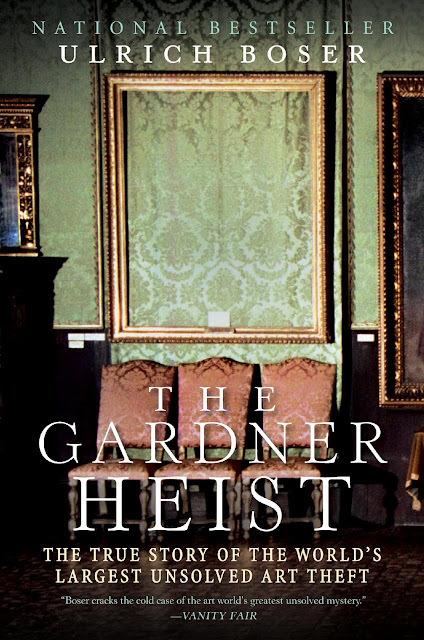 The Gardner Heist is a thrilling recount of the world's largest unsolved art theft, at the Isabella Stewart Gardner Museum in Boston, MA. On March 18, 1990, two men broke into the museum and stole a dozen masterpieces worth over $500 million dollars. Historically significant works by Rembrandt, Vermeer and Degas, along with other precious artifacts, slipped into the dark underbelly of crime. Ulrich Boser joins a growing list of investigators who become obsessed with this crime and work countless hours for years on end to try to return these masterpieces to humanity. There's hair raising accounts of various criminals, gangsters and art thieves that all have some sort of connection to the Gardner Theft. ﻿﻿Boser also takes time to elegantly depict the lost paintings and their significance. 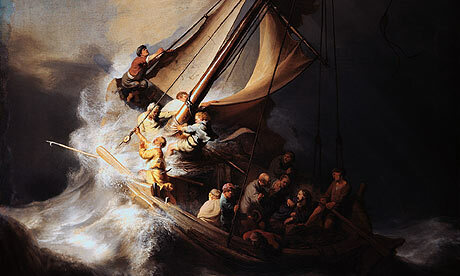 "The Storm on the Sea of Galilee" was the only seascape painted by Rembrandt, and "The Concert" by Vermeer is considered the most valuable painting currently stolen, with an estimated value of over $200,000,000. You are compelled to weep when you read the horrific acts committed against these treasures of human achievement. One of the most beautiful elements of "The Gardner Heist" is the compelling stories of the good people involved in the search for the missing art. Detectives, FBI agents, Art Historians, Restorers and Conservationists, as well as the loyal patrons and employees of the Gardner Museum all lovingly work to return the art to its rightful home. Because the case is unsolved, you end the book with a sense of disappointment, but the knowledge you gain about Art's value, Art Museum practices, and Art theft, investigation, and recovery makes this a fascinating read! Thank you for sharing in such a beautiful way. Usually I don't consider summer a time to read as there are so many, many activities calling my name! But you have convinced me - I definitely want to read this book! Summer is when I do the most reading... I always tote a book along with me to watch my children at the park and the pool! I hope you enjoy it, Pam!